The Coaches Style Windbreaker jacket is lightweight, water-repellent, and offers just the right amount of weather protection. The railroad herald selected is approximately 11" and embroidered on the back of the jacket. 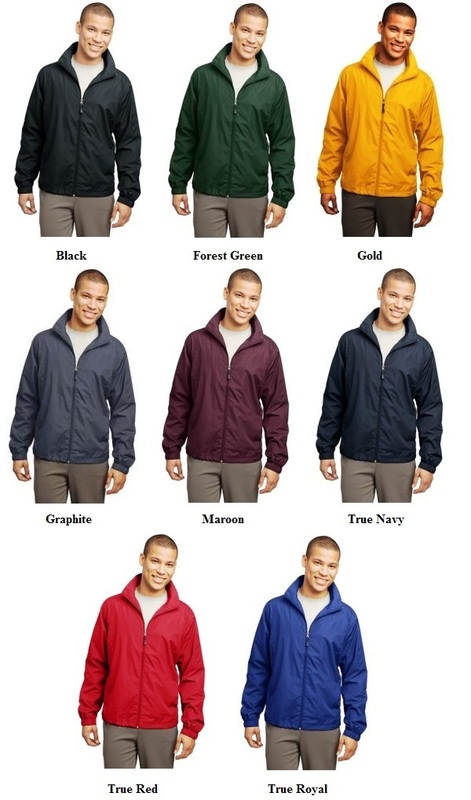 The customer's name and a smaller version of the railroad herald can be added to the front of each jacket for an additional charge.